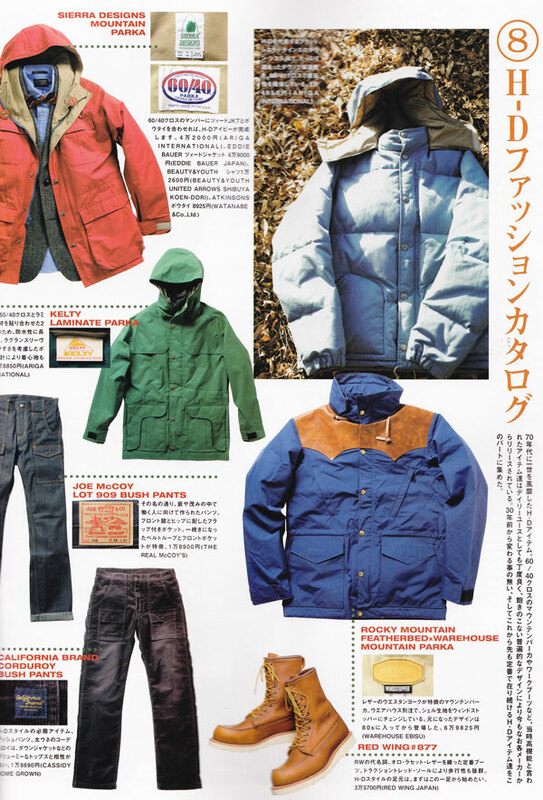 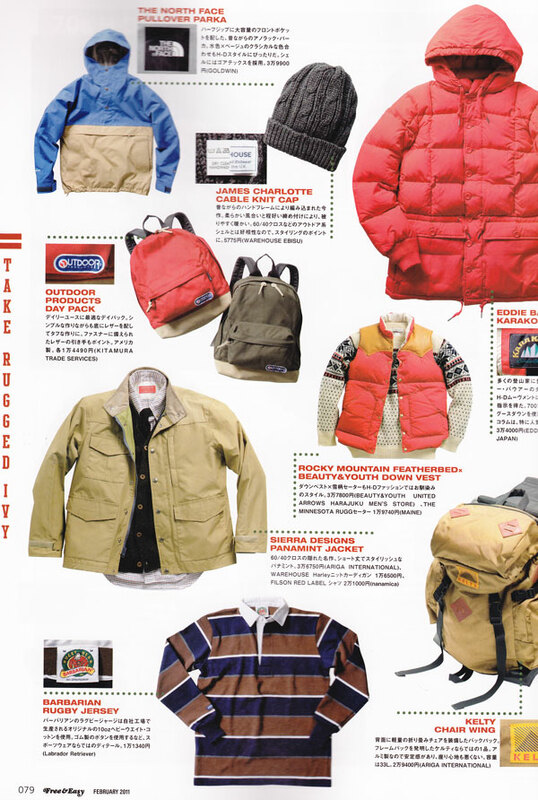 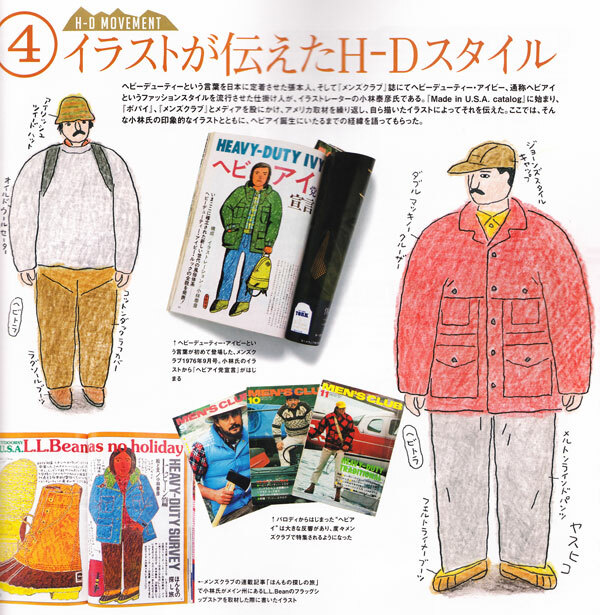 In the current February issue of Free & Easy, the editors examined the various impacts of Ivy/college style on the Japanese markets from over the years and included a section on “Heavy Duty Ivy”, an import from campuses during the 70’s (which was also well documented by the magazine Men’s Club). 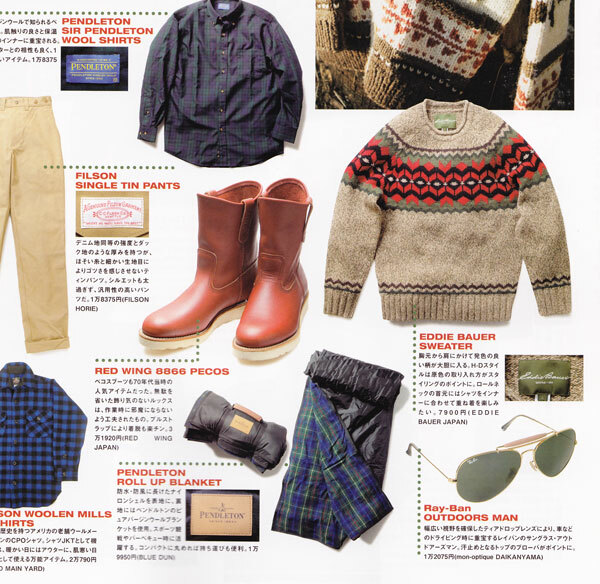 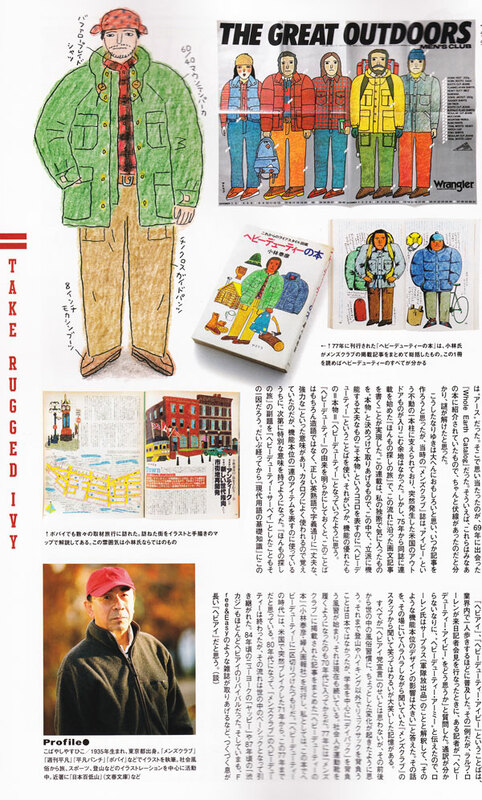 This was not the Take Ivy sort of style with tweed jackets, navy blazers, ties, and loafers – this was all about parkas, down vests, rugged sweaters, and Bean boots. 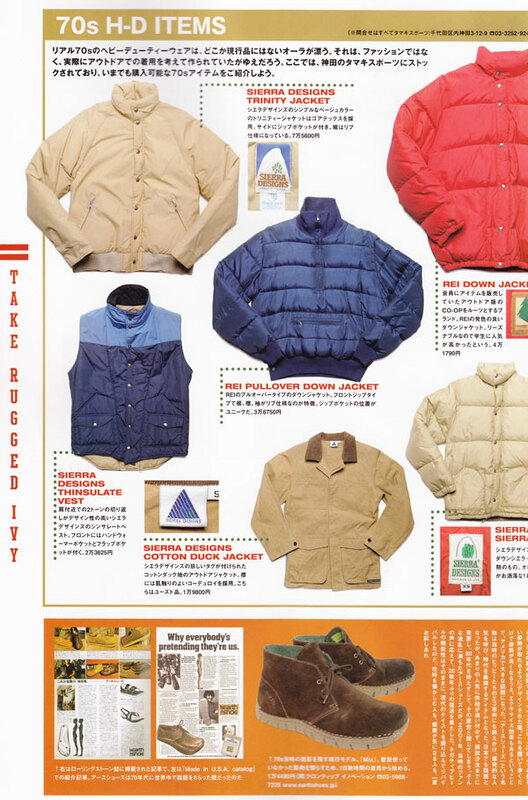 You never see it directly referred to, but it certainly has had a large influence on many Japanese designers who routinely integrate these elements into their collections.